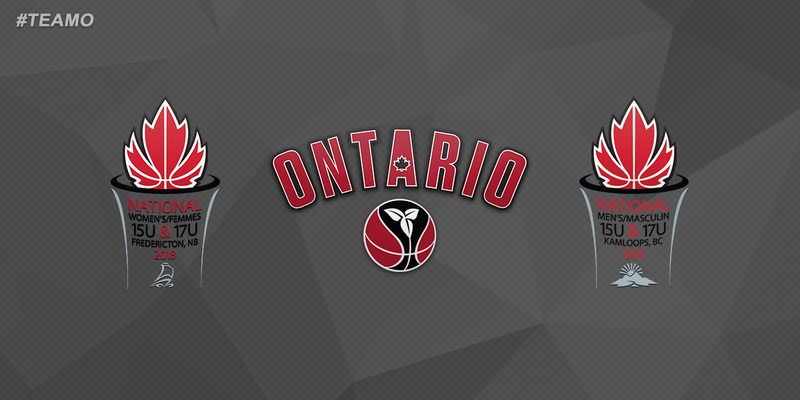 Team Ontario heads to the Canada Basketball National Championships today with the U15 and U17 Boys traveling to the west coast in Kamloops, B.C. and the U15 and U17 Girls flying to the east coast in Fredericton for the tournament from August 6–11. All Ontario teams are seeded first or second in their respective tournaments after the U15 Boys and Girls finished first at Nationals last summer and the U17 Boys won gold and the U17 Girls earned silver at the 2017 Canada Summer Games. Catch all of Team Ontario’s games live, starting with the first games on August 6! Before the tournament, #GetToKnowTeamO with athlete profiles on Ontario Basketball’s Twitter, Instagram, and Facebook. Written on 2018-08-05, in News.